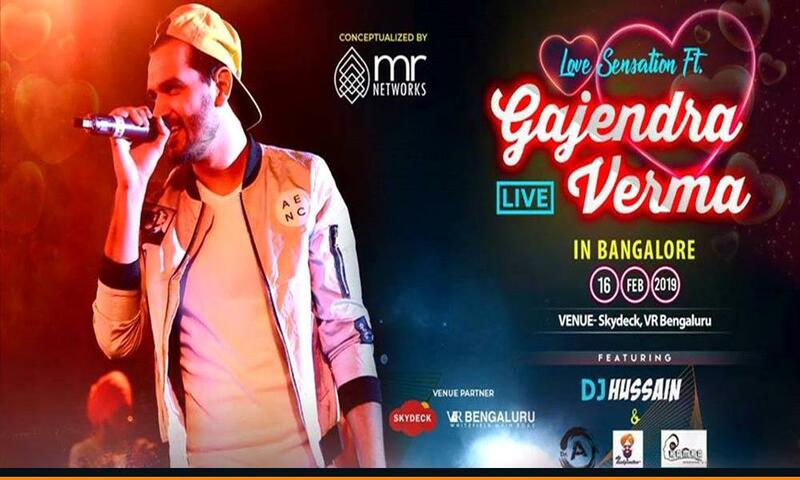 Love Sensation ft. Gajendra Verma will feature on 16th of February 2019 at Skydeck, Bangalore. Celebrate the Season of Love with your loved ones and make your day memorable! Live performance of Gajendra Verma will be on 16th of February 2019 at Skydeck Bangalore. The most happening show in Bangalore! So hurry up, Limited seats available! No refunds on purchased tickets are possible, even in case of any rescheduling.